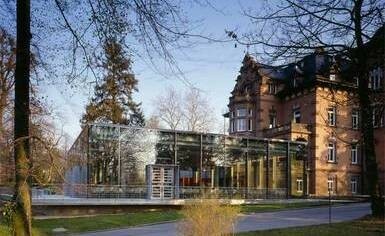 The 2016 Cosmobilities Conference will be held at the Evangelische Akademie in Bad Boll, near Stuttgart, Germany. The Conference will take place between Wednesday, November 30th and Friday, December 2nd. The conference location also includes accommodation (lodging and meals). When registering to attend the conference you can therefore also organize your lodging and meals during the conference. Travel must be organized individually. To register for the conference, click below to download an interactive PDF Registration From. Fill this out, save it and email it to Registration@cosmobilities.net. All information concerning the conference fees, lodging and meals can be found in the document. The Call for Papers is now closed and we are currently organizing the upcoming sessions as well as finalizing the conference events. A preliminary schedule of the conference is available below. We will finalize the schedule and information concerning the conference in the next month. More information concerning transport will be provided soon. For those organizing flights you can best travel to the airport in Stuttgart (Flughafen Stuttgart) or the airport in Frankfurt (Flughafen Frankfurt am Main). The airport in Memmingen is also another option. The closest train station to the conference is in the town of Göppingen, which is about 1-hour from Stuttgart airport and 2-hours from Frankfurt and Memmingen airports. We will organize shuttle buses from the train station in Göppingen to the Evangelische Akademie in Bad Boll on both the first day of the conference (Wednesday) and the last day of the conference (Friday). If you arrive at a different time, there is a bus connection between Göppingen and Bad Boll. Thank you and we look forward to welcoming you to Bad Boll in November!